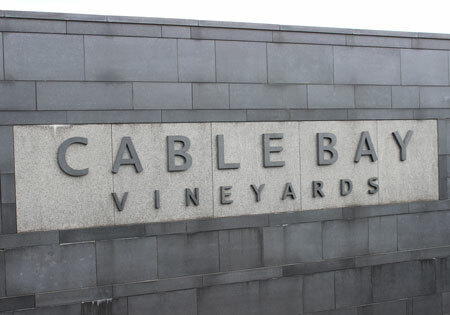 Cable Bay Winery and Restaurant on Waiheke Island is one of the most stunning places in the world to dine. 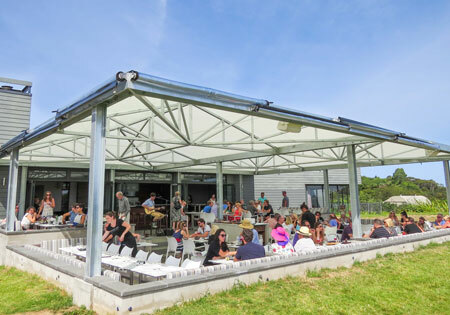 Situated on the hilltop of Cable Bay, overlooking the Hauraki Gulf & Auckland city, the views are breath-taking and the wine is superb. As part of the detailing process, we also designed the unique moment-resisting connections which allow large uninterrupted openings between posts to maximise that stunning view. 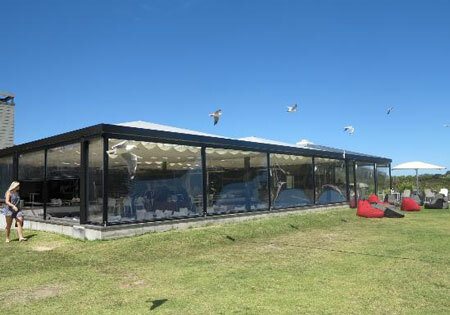 Global also arranged for the manufacture and installation of the stretched cover over the roof. Having built many shade structures, we knew exactly what to incorporate into the design. Cable Bay is one of many steelwork projects Global Engineering has completed on Waiheke Island.